Scraper conveyors are used for horizontal and inclined (<20 º) , transporting grain and its products. They are used in grain processing plants, in the reception departments of road and rail transport, as well as in transport galleries of grain elevators, cereals, mills, feed mills, oil extraction plants and other enterprises associated with the reception and processing of grain and oil seeds. Conveyors are also used in other industries for the transport of bulk goods. 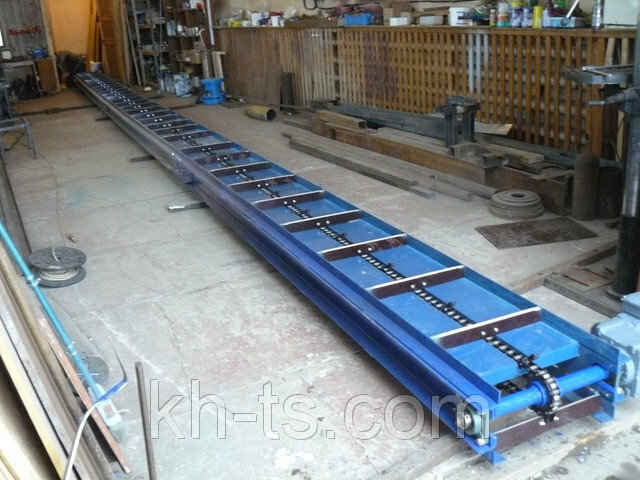 Due to the increased throughput, which does not require an increase in width and height, the scraper conveyors can serve as a replacement for obsolete conveyor lines.